Marriage proposals can definitely make some men scratch their heads, but whether it be perfectly planned or impulsively decided, conveying sincerity is the most important. For the below celebrities’ proposals, it shows that it doesn’t matter how fancy or simple the proposal is because promise and love are all that’s needed. 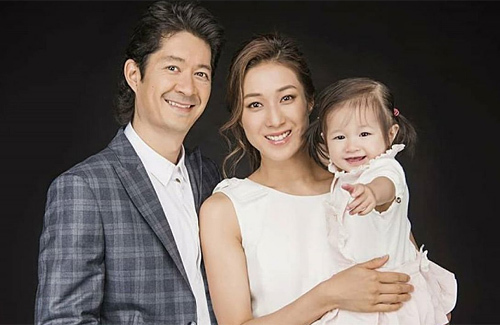 Currently busy taking care of their almost five-month old baby, Sarah and Jason met and grew closer while hosting TVB’s lifestyle program together. Initially friends, they took a few years to deeply understand each other before officially dating. After nine years, Jason nervously popped the big question. He asked the film crew for leave, but allowed Sarah to assume he had work. He then waited for her to leave for Australia to celebrate her dad’s 60th birthday, and quickly grabbed his luggage to head to the airport. Arriving in Sydney, he surprised her and she said, ‘yes’. Watching him struggling, Cherrie’s parents laughed and said, “Already crying? It’s such happy news! If you won’t say it, then I’ll help you say it.” Eventually, Jordan managed to choke out the words, “You know what I want to say, yeah…marry me…” Without a romantic speech, they sealed their promise to each other. 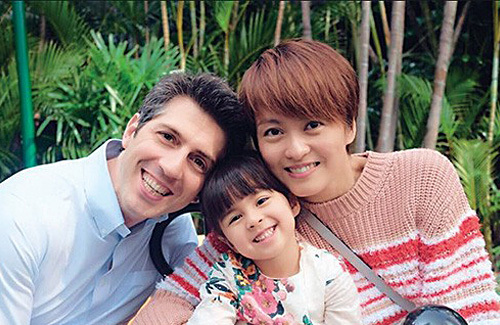 After that, the couple headed to a restaurant to do a proper proposal, but Lok Yi told his wife that there was no point since she already knew. They continued anyway and after proposing, Nicole said it wasn’t romantic. Lok Yi said it was expected because she already knew. 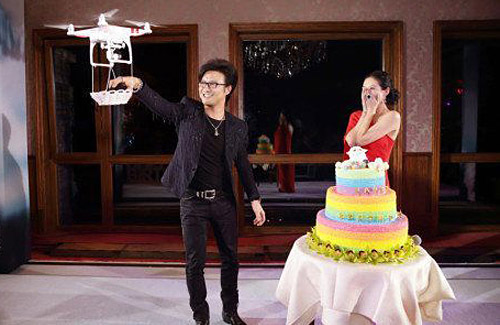 On Zhang Zi Yi’s 36th birthday, Wang Feng spent over a hundred thousand yuan to give Ziyi a surprise birthday party and proposal. With fireworks in the background and a huge cake on the side, he used a camera drone to gift her a nine-carat diamond ring. He then knelt down and gave his speech, “Even when we’re old, I’ll still take care of you.” Ziyi cried in happiness and responded, “yes”. Gigi met Sergio while vacationing in Spain. Dating for half a year, Sergio secretly planned a proposal. When Gigi wasn’t in Hong Kong, he asked Gigi mother’s to let him in the house and arranged the furniture to show the words, ‘Marry Me’. However, Gigi said that it was unfortunate, because she had high fever that night and told him to drive her to the hospital. She didn’t answer him, so after a week she booked a hotel room and used Post-it notes to create a ‘Yes’ on the window as a response. With his background in public relations, Real used his creativity to ask Miriam to become his wife. Travelling to United States together, Real decided it was time to take responsibility. Using Miriam’s previous comment as the lead in which she said, “I’ll need to countdown after I pass 30 years old,” he responded to it with, “If it’s like that, then we’ll have to cherish it. Let me walk beside you down that path.” The two decided to spontaneously drive to Las Vegas and register their marriage before notifying both of their parents. In 2008, Timmy and Janet along with his family and their group of friends traveled to Maldives to celebrate Janet’s birthday. On the last day of the trip, Timmy brought a cake out, making Janet feel confused because they already celebrated her birthday. However, it turns out that there was a ring on top of the cake. Timmy knelt and proposed, causing Janet to tear up and eventually agree. 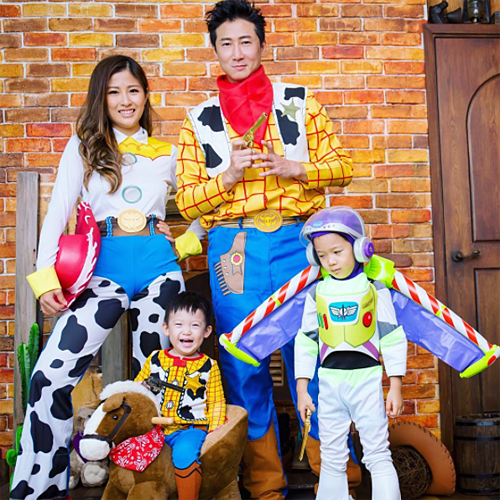 In a relationship for five years, the two planned a magic performance on TVB’s Anniversary Gala in 2014. Alarming Leanne by making it seem as if he was harmed by the equipment, Cho Lam then appeared from the back with a rose bouquet and knelt before her. Taking a deep breath, he said, “We are two different people. I was a children’s show host and you were a beauty queen. I am very short and you are very tall. I am very complicated and you are very pure. I’ll be very lucky to marry you! Every day is a blessing.” With over ten thousand viewers watching live, it was hard for Leanne to say no. After a duo performance at his concert, Eric knelt down in front of thousand of fans to propose to Grace. With 88 roses and a lawyer he prepared on sight, they signed the papers immediately. A relationship admired by many, they are currently in their 11th year of marriage. 8 comments to 11 Celebrity Marriage Proposals: Which One Was Most Unique? I thought that was the sweetest one too. It was literally sweet as well since it was done at a sweets shop. I thought Wong Cho Lam and Leanne’s was the most awkward as it was done on a public show. If it were me, I would feel pressured to say yes even if I did not feel like saying yes. That would be scary to me. 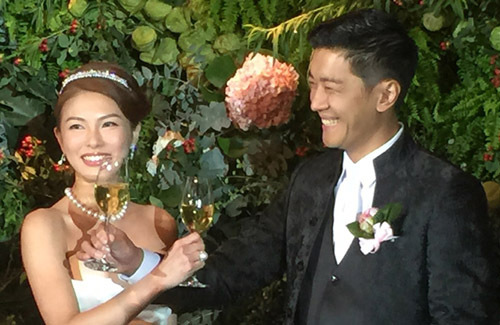 Eric Suen & Jordan Chan’s proposals sound the most genuine & the sweetest. Wang Feng’s the most extravagant. The rest are okay. 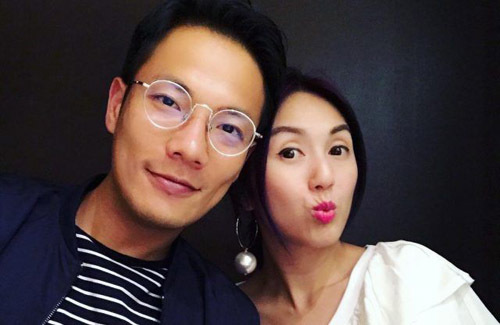 I cringed with Chris Lai’s proposal…or lack thereof. 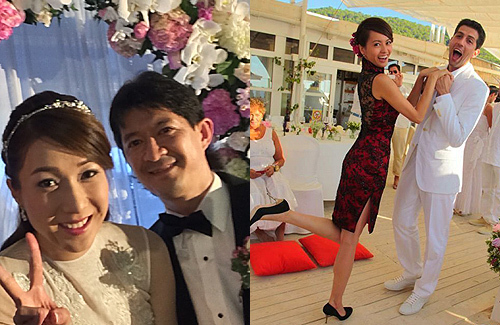 Don’t appreciate making everyone witnessing your proposal, like Wong Cho Lam’s or Eric Kwok’s. At least Eric Kwok did it in his own concert, something he probably felt more special and close to his heart. As for Wong Cho Lam, it happened during TVB Anniversary. Enough said. Also don’t appreciate the extravagant and showy proposal like the one from Wang Feng. Cannot help wondering if money is more well-spent if they donated part of the whole grand plan to charity instead.